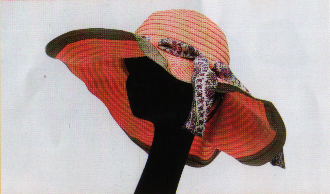 You can custom shape the brim on this sun protecting floppy to create your own fashonable fun look. Ribbon Floppy with contrasting tie. Available in Cantalope Orange, Denim Blue or Classic Khaki Beige. On Sale! Odver 50% off Only a few left!